When it comes to wrapping presents there are definitely different schools of thought. My family always went for the plain and simple approach with nice paper, neatly wrapped. When I got married, however, I discovered a new approach involving not just paper, but ribbons and bows that admittedly looked very pretty, but were significantly harder to open. Increasingly these days people resort to the bag approach. Rather than go to all the trouble of wrapping at all, just pop the gift in a pretty bag. In the end though, of course, however exciting the wrapping, it’s the gift inside that counts and that will be treasured by the recipient. 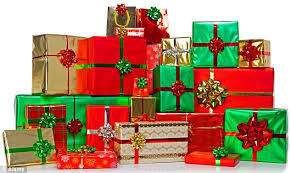 When it came to wrapping the first Christmas gift, God decided not to go down the route of pretty paper with all the trimmings, but chose instead a swaddling cloth. It was the gift inside that was the treasure to be discovered, but even that wasn’t dressed up to look good. As an adult the Bible says that Jesus had, “no beauty or majesty to attract us to him, nothing in his appearance that we should desire him”1. So this Christmas don’t be dazzled and misled by the scale and extravagance of the wrapping that may surround your gifts, but reflect instead that sometimes the most precious gifts come in the plainest of packaging.